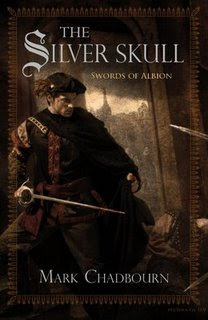 Just snagged from the Pyr blog: Another great cover from McGrath. I should be getting to Chadbourn's World's End in the next few weeks. Here is the cover for the first in a new series by Joel Shepherd to be released in November by Pyr also. All in all I think it is a tad too historical fiction looking for my taste. It screams Joan of Arc. 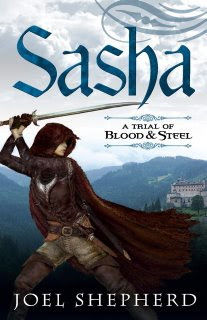 The series is called A Trial of Blood and Steel and I believe there will be four volumes in all. 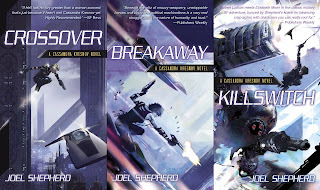 Joel Shepherd is best known for his Cassandra Kresnov series of SF novels. The first of which Crossover, Pyr is releasing as their first mass market edition. Although the MM of Crossover is not officially released until May 27th it looks as though Amazon is already shipping out copies so expect to see it in stores shortly. 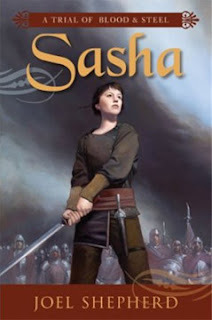 Pyr is also releasing the 2nd and 3rd volumes of the Cassandra series in June and July respectively.